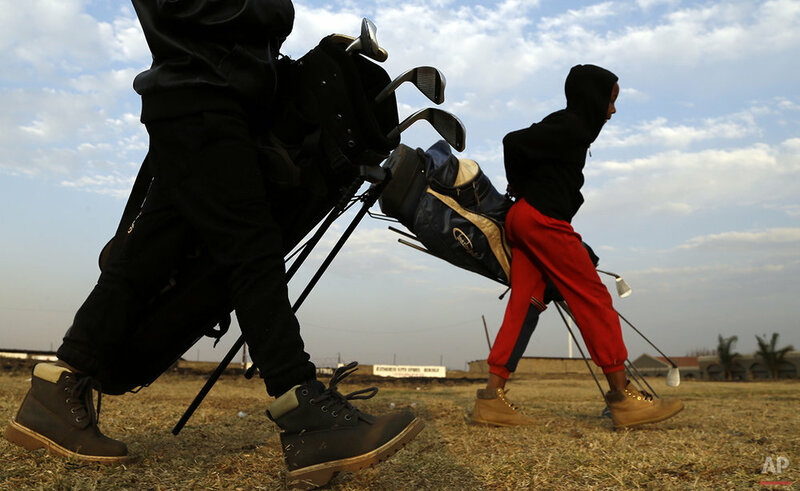 At first, the children only watched as the their retired neighbor hit a ball across an open field, but soon enough they joined in, forming an amateur golf school in a working class South African township. 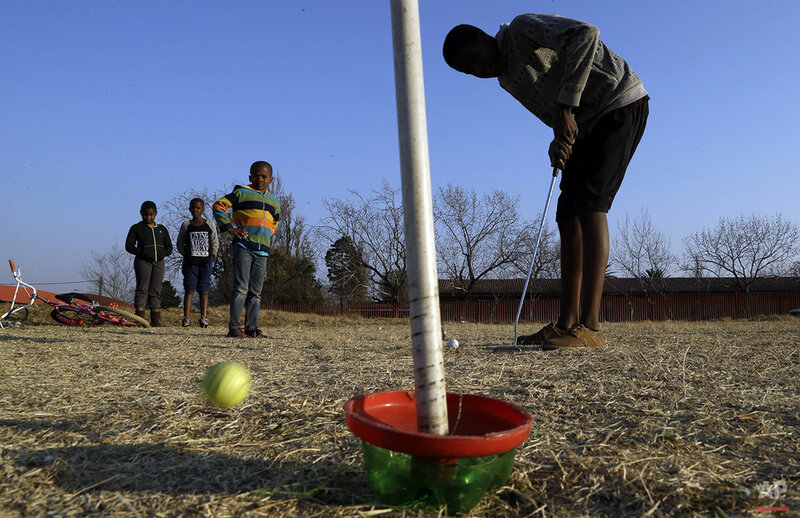 Wynand Morudu, 60, didn't plan to become a golf instructor but the enthusiasm of his young students inspired him. 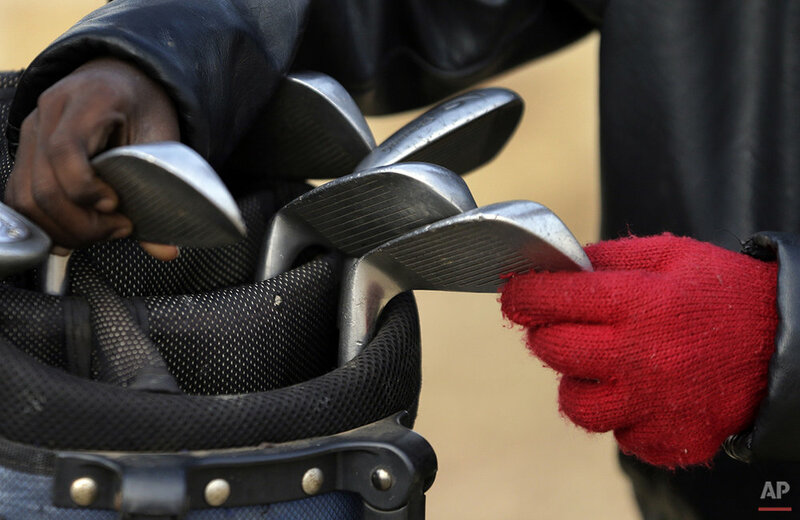 He provides the kids with secondhand clubs and worn balls bought at garage sales or off caddies. He sawed off the tops of the clubs to fit the young players. 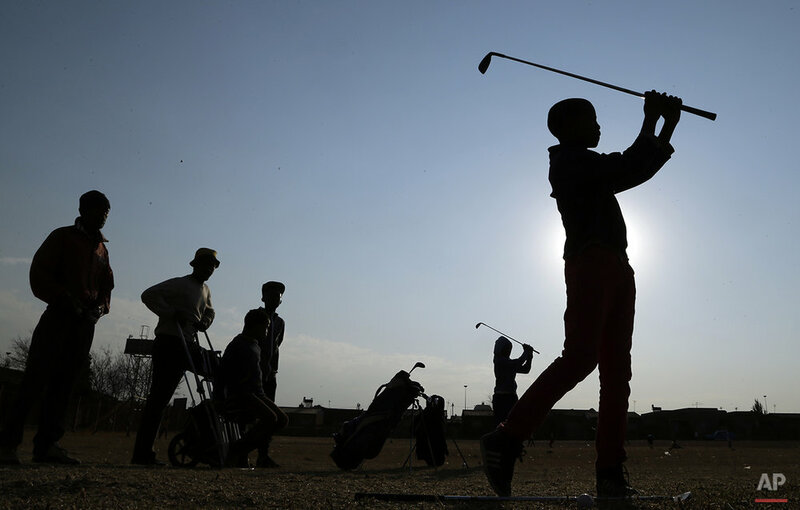 As a caddy in the early 1970s, Morudu taught himself how to play golf and practiced his own game at the poor but popular Soweto Golf Course. 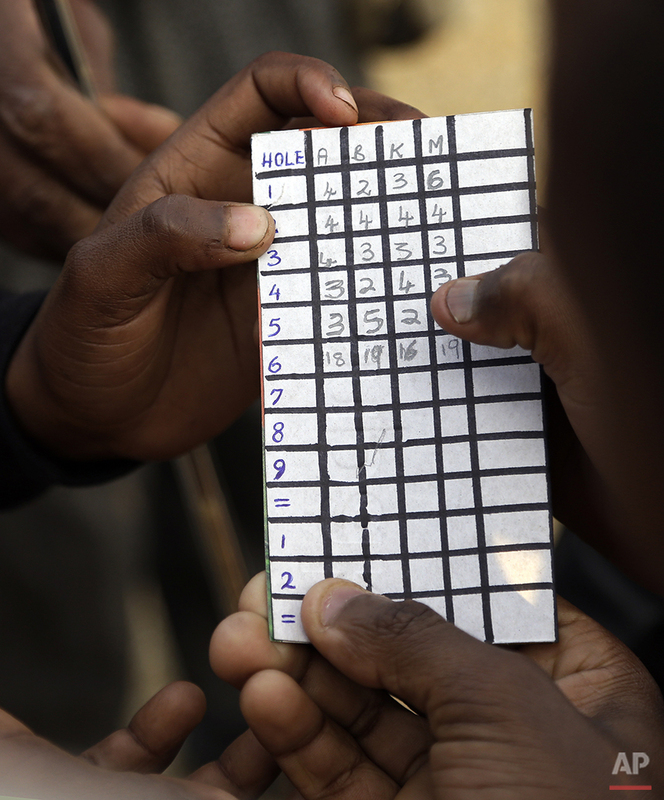 When he moved to Katlehong, a township in an industrial area east of Johannesburg, Morudu made do with an open field. 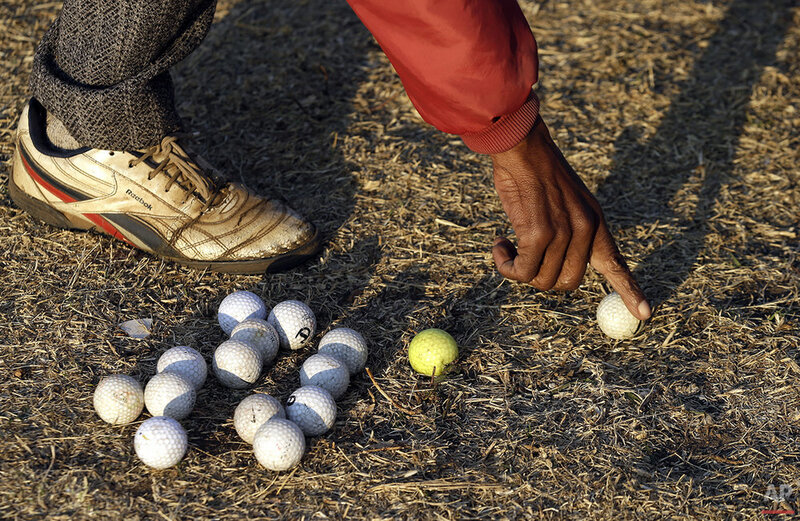 Sharing the field with an amateur soccer team, Morudu tutors about half a dozen children on the basics of golf. During the school holidays, the children aged six to 13 meet their coach each day to a play a short game in the morning and again in the afternoon. Using the bottom half of an empty plastic soda bottle as a target, they practice putting and chipping the ball. Their flag is an old T-shirt. 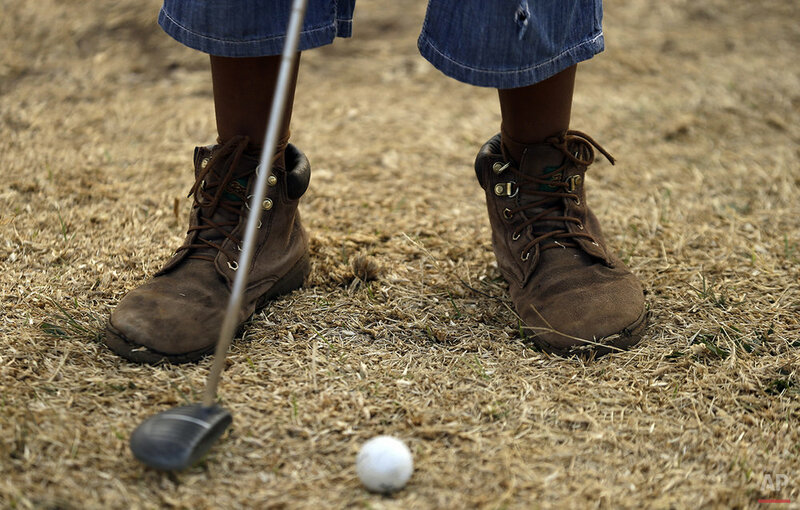 "They are good in the short game," said Morudu. The field, surrounded by houses and small businesses, is too small to practice long drives. Atlahang Lebeloane, 13, has become the star player of the group. His parents hope this newly discovered talent will turn into a profession. 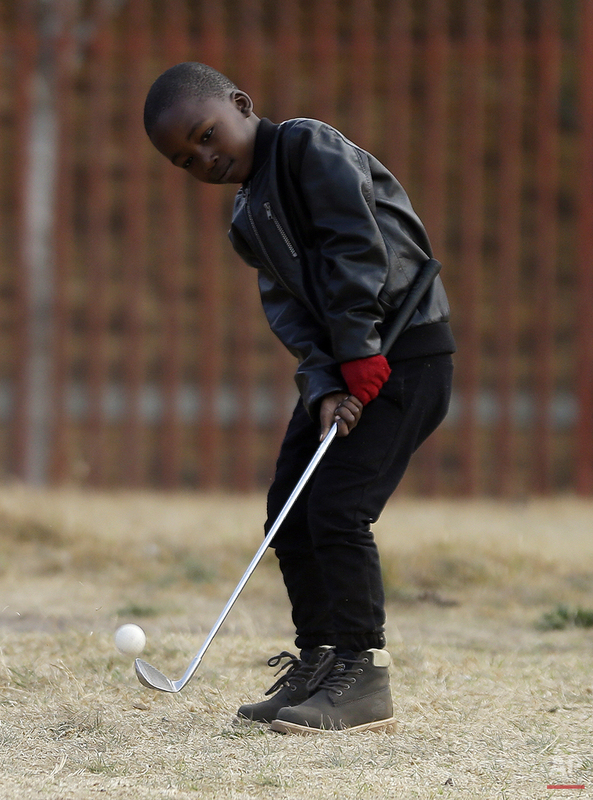 "I want to win a cup," said Lebeloane, who idolizes American player Tiger Woods. Morudu has been trying to raise about $100 to enter Lebeloane and other children into competitions, where he hopes they'll be spotted by a professional school. 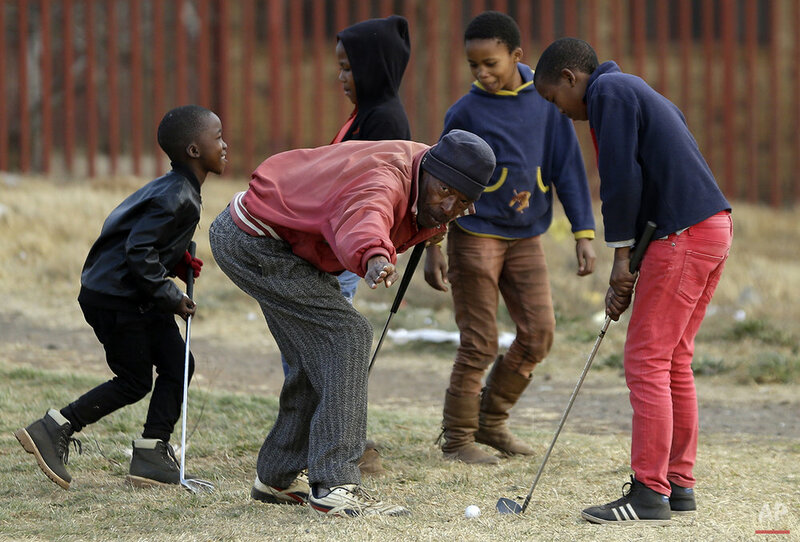 Text from AP news story, AP PHOTOS: Retired South African caddy teaches golf to kids, by Lynsey Chutel.